Our traffic engineering services encompass planning and forecasting, WA traffic impact assessment, management and concept designs. Projects include land development, retail and commercial development, local area traffic management engineering, and larger scale community planning. The traffic management projects invariably involve traffic surveys and observation, public consultation and road safety audits. Woolworths Plus Petrol – Traffic impact assessments and access modelling for the Western Australian sites. 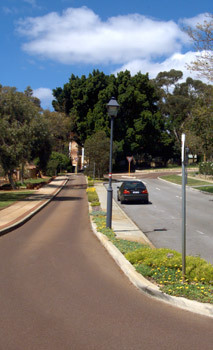 East Fremantle Local Area Traffic Study – Detailed traffic management engineering and streetscape study for Plimpton and East Fremantle precincts involving public consultation to recommend action to mitigate adverse traffic impacts, improve parking and enhance the local streets. Shire of Peppermint Grove Traffic Study – Detailed review of local streets to recommend measures to improve traffic flow and reduce speeding. Dan Murphy sites – Traffic impact assessments of the new bulk liquor outlets in Western Australia. Coventry Square Market Development, Morley – Traffic impact assessment including detailed modelling of movement around the local street network during peak periods. Cottesloe Traffic Study for the Town of Cottesloe – As a result, the Town is now putting in place recommended improvements in annual stages. 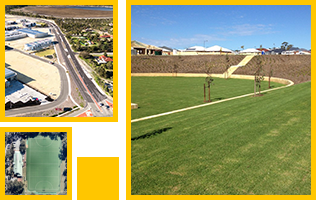 Road Safety Audits in Perth are proven to identify risks associated with transport network and design proposals. Porter Consulting Engineers has three Senior Road Safety Auditors. We have recently completed a variety of road safety audits for both metropolitan and rural local authorities and Main Roads WA.